The North London Derby is one of the capital city's longest running footballing rivalries pitting the red of Arsenal against the lillywhite of Tottenham Hotspur. 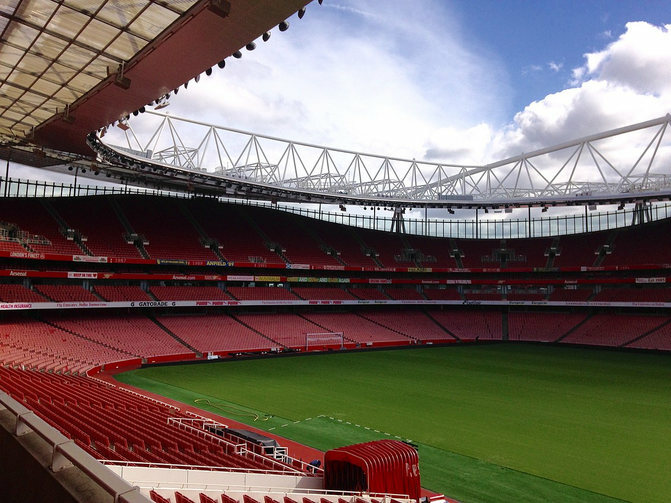 Arsenal are based at the Emirates Stadium in Islington with Tottenham's White Hart Lane just 4 miles further north. Both clubs have spent most of their existence in England's top flight with a host of league and cup clashes, along with player defections, doing plenty to increase the friction between the sides. We look at the next North London Derby to be played with our predictions on the match as well as looking back over the recent clashes and giving an overview of the history of the fixture. As the pair have already met twice in the league, the next meeting between Tottenham Hotspur and Arsenal will be in the 2019-20 Premier League season. By then, Spurs should be settling into their new home. Although Tottenham beat the Gunners in the Carabao Cup, Unai Emery’s men picked up four points against the Lilywhites during the 2018-19 Premier League campaign. With just a couple of months of the season left to play, Tottenham and Arsenal will be hoping to finish up in the top four, securing UEFA Champions League football for next term in the process. However, Chelsea and Manchester United have the same idea. This fascinating race for the top four is set to go down to the wire. Rivals Tottenham and Arsenal played out an entertaining 1-1 draw at Wembley on 2nd March. The Gunners were fast out of the blocks in the national stadium, with Welshman Aaron Ramsey giving the away side the lead after just 16 minutes. Tottenham huffed and puffed after that early setback and were eventually given the chance to equalise from the spot with 15 minutes to go. The ever-reliable Harry Kane stepped up to fire Spurs level. To their credit, both sides went for the win, with Pierre-Emerick Aubameyang missing an injury time penalty. In the 95th minute, Arsenal’s Lucas Torreira was sent off for a poor tackle on Danny Rose. Overall, the draw was a fair result at the national stadium. Games like these are often settled on fine margins, with this one being no different. When Aubameyang stepped up in injury time, you could feel the tension in all four corners of the ground. Hugo Lloris, who had a relatively quiet game, won the battle of nerves to keep Arsenal at bay. At the other end, Kane fired in to put Tottenham level 15 minutes earlier. The Spurs fans can always rely on their main man from 12 yards, and the England skipper kept his cool to secure what turned out to be a big point for the Lilywhites. When Ramsey gave the Gunners the lead, Arsenal were just one point behind Tottenham in the table. Spurs, who recently looked nailed on for a top four spot, now have plenty of work to do to get the job done. Thankfully for them, Kane’s equaliser kept the gap at four points. Mauricio Pochettino’s boys have hit a rocky patch of form at just the wrong time of the season, especially as the teams below them are starting to pick up points. The Lilywhites are definitely out of the title race, but the point against the Gunners could be crucial in the battle for the top four. Arsenal were desperately unlucky not to have done the double over Spurs. To be fair to Emery’s boys, they took the game to their rivals, with Aubameyang a kick away from giving the Gunners a priceless three points. However, although it was a very good point for the Gunners, it will feel like a defeat for the Arsenal fans. The Gunners have not done the double over Spurs since the 2013-14 season, and the wait will go on. What Next for the Pair? Tottenham and Arsenal both have some huge games coming up from now until the end of the season. Spurs, who are still in the Champions League at the time of writing, still play Manchester City and Liverpool. They also face a tough trip to the London Stadium to take on rivals West Ham United in late April. As for Arsenal, their upcoming clash with Ole Gunnar Solskjaer’s Manchester United will be massive. However, Emery’s troops have some very winnable games after that, with the likes of Newcastle United, Crystal Palace and Brighton & Hove Albion all to come at the Emirates Stadium. Tottenham may be in pole position, but the Gunners have every chance of joining them in the top four. The first league north London derby between these two famous clubs came all the way back in December 1909, which Arsenal won 1-0. Since the Premier League was formed back in 1992, Spurs have claimed just three wins on Arsenal soil, one at Highbury and, including this League Cup triumph, two at the Emirates. Tottenham’s first, and until their EFL Cup victory in December 2018, only win at the Emirates came back in 2010, when the Lilywhites came from two goals down to beat the Gunners 3-2. On that day, Gareth Bale, Rafael van der Vaart and Younes Kaboul were on the scoresheet for Redknapp’s Lilywhites. Overall, though, Arsenal are the kings of north London, with a total of 82 wins to them, 64 to Spurs and 52 draws. For a long period since the late 1980s, first under George Graham and latterly under Arsene Wenger, Arsenal really dominated. From 1987 until 9th January 2008, Spurs won just nine in 53 games against their huge rivals. That included a run of 21 straight derbies without success up until Tottenham won 5-1 in the League Cup in 2008. Including that resounding success, Spurs have been much better recently, managing nine wins and just 10 losses over the past decade or so. The balance of power has certainly shifted. Since a 0-0 draw at White Hart Lane back in February 2009, Tottenham have won six of their last 10 home league games against the Gunners while Arsenal have picked up only one win on Spurs’ patch since September 2007. Meanwhile, Tottenham have won just once at Arsenal in the Premier League in over 25 years and despite the 2-0 success in the Carabao Cup in 2018, things are little better when all competitions are considered. The last goalless draw between these two was nearly a decade ago. Since then, both teams have scored in 16 of the following 24 league and cup meetings. It’s usually worth backing each side to get on the scoresheet in this fixture, whilst over 2.5 goals is also often worth a punt as well. There are countless rivalries that exist between clubs that aren’t based in the same city, from Norwich’s adversarial relationship with Ipswich Town through to the New Firm derby between Aberdeen and Dundee United. Yet the battles that take place between two sides based in the same city are always just that little bit more spicy. The reality of the city of London is that it’s so big and all-encompassing that the likes of Crystal Palace and either of the teams we’re talking about here might as well be in different parts of the country, such is the amount of time it takes to get from one venue to the other. As a result, some of the matches that you might think should be rivalries because both teams are based in London actually aren’t, really. The proximity of Arsenal and Tottenham Hotspur in the city, however, means that the two sets of supporters very much see each other as rivals. There’s long been a bitter enmity between the two sides that we’ll explore here, which is as much based in the history of the two sides as where they’re based. It’s a bitterness that goes a step further than just the typical dislike you’d expect to find between two teams in the same locality, as you’ll discover. In order to really get your head around why there’s such a sense of rivalry between the two teams you need to look back at their history. You see, for a time, Tottenham were the only big club based in North London. The club was formed as Hotspur Football Club on the fifth of September 1882 by school boy members of Hotspur Cricket Club in the Tottenham area of North London. The club began to establish itself over the years that followed, with the school boys turning to one of their teachers to assist them. In April of 1884 the club decided to change its name after receiving mail for London Hotspur, another team based elsewhere in London. They opted for Tottenham Hotspur, and initially played friendly games against other teams in the region. As Spurs were enjoying the freedom of North London, another football club was being formed in the South East of the city. Munitions workers at a factory in the Woolwich area made a club that they named Dial Square, becoming Royal Arsenal Football Club in January of 1887. They were initially based at Plumstead Common and in 1891 the club became the first in London to turn professional. Two years later they became a limited liability company and registered themselves under the name of Woolwich Arsenal with the Football League. Arsenal won promotion to the First Division in 1904, but financial issues for the munitions workers meant that the club began to see a drop in attendances. By 1910 they were close to bankruptcy and when two businessmen named Henry Norris and William Hall became involved, they decided that a move elsewhere in the city might be a good idea. In the years that followed they began to look for new prospective venues at the same time as the club was struggling to make its mark in the First Division. In 1913 they were relegated back into the second-tier and at the same time moved to a new home in North London. Arsenal Stadium in the Highbury area of the city seemed like the perfect place, with the club changing names for a third time to become The Arsenal. In 1919 the Football League expanded the First Division and one of the first major reasons for enmity between them and their new neighbours reared its head. Despite being the stronger team in the final season before football stopped for the First World War, the Football League chose to promote The Arsenal to this new look division rather than Tottenham. Some supporters of the latter club believed that the Gunners had persuaded the Football League by somewhat nefarious means. Whatever the truth of the situation, Spurs had been ruling the roost in North London - an appropriate phrase given the cockerel on their badge - but had now seen another club move into the area and be given preferential treatment by the Football League. The moves, both geographically and in a footballing sense, saw Arsenal’s fortunes change fairly rapidly. Their attendances began to grow and their budget improved with them. The club’s new financial might allowed them to tempt Herbert Chapman from Huddersfield Town to come in as their manager and he began the rebuild the club from the ground up. During this period they began to drop the ‘The’ from the club’s title and became simply Arsenal, though their moneybags nature meant that rival supporters referred to them as the ‘Bank of England Club’. Was the moment that Arsenal were selected over Tottenham to head into the new-look First Division a sliding doors moments in the history of the two clubs? It’s obviously impossible to tell, but one thing is for certain: in the years that followed the Gunners began to enjoy consistent success at the same time that their rivals couldn’t even make it out of the Second Division. With the exception of a brief spell back in the top-flight between 1933 and 1935, Spurs remained in the second-tier of English football until 1950. Arsenal, meanwhile, won their first major trophy when they picked up the FA Cup in 1930. It proved to be the catalyst for further success, with the Gunners lifting the First Division title for the first time in 1930 and then again in 1933. The thirties very much proved to be Arsenal’s decade, in spite of the fact that Herbert 'Herbie' Chapman died of pneumonia in the middle of the 1933-1934 campaign. Having presided over the white sleeve being added to the kit, a tube station being named after the club and two Art Deco stands built at the ground, it’s fair to say that he was one of the most influential figures in Arsenal’s history. Joe Shaw and George Allison took over after his passing and were no less successful, lifting the First Division title again in 1934, 1935 and 1938, also lifting the FA Cup once again in 1936. They were the last title winners before the competition was suspended for the Second World War but picked up were the left off when football resumed and they finished top in 1947-1948. Whilst Arsenal went on to win the FA Cup again in 1950 and a record-breaking seventh First Division title in 1953, it was by then an ageing squad and no team lost more players during the Second World War than the Gunners. That, combined with the cost of building the North Bank Stand, meant that they were about to enter a lean period in terms of trophies. Spurs, meanwhile, appointed former player Arthur Rowe as their new manager in 1949 and their fortunes began to change almost immediately. He invented a type of football known as ‘push and run’ that saw the club win the Second Division title in 1950. Remarkably, the success continued and they won their inaugural First Division title the following year. Rowe resigned in 1955 having suffered illness brought on by the stress of management, with Spurs fans feeling that they were about to drop back down the divisions because of it. Instead, even better was to come. Bill Nicholson became the new Tottenham manager in 1958 and within three years he’d helped the club to win the Double. He won the FA Cup again in 1962 and then the Cup Winners’ Cup the year after. Part of the success was due his player signings, including bringing in Jimmy Greaves in 1961. Greaves would go on to be the most prolific goal-scorer that the top-flight of English football would see, scoring two hundred and sixty-six times for Spurs and three hundred and fifty-seven times in total. Arsenal, having spent the 1950s and 1960s in a state of mediocrity, began to get back into a winning way in the 1970s. They picked up the Inter-Cities Fairs Cup in 1970 and a league and cup Double the year after. They went on to reach three successive FA Cup finals and the European Cup Winners Cup final at the end of the decade before eventually winning the FA Cup over Manchester United in 1979. The first few times that the two clubs played each other they were, somewhat ironically, in friendly matches. The inaugural game occurred on the nineteenth of November in 1887 when Arsenal were still based in South London. The game ended fifteen minutes before full-time because of darkness, though Spurs were winning 2-1 at the time. The first competitive match didn’t take place until 1909 when they were both in the First Division, which Arsenal won 1-0. Back then, however, there still wasn’t much of a rivalry between the clubs apart from the usual dislike that exists between teams battling for the same points. It wasn’t until 1913 and the Gunners’ subsequent move to North London that the rivalry really began to get underway. There has long been a sense from Arsenal fans that Tottenham live in the shadow of the Gunners; a feeling that was given some substance when the two sides played each other at White Hart Lane and the away team won the match 6-0. That remains the biggest scoreline in a North London derby to date and, perhaps somewhat surprisingly, was also a result that came before relations between the teams thawed for a time. That happened because Highbury was requisitioned by the Air Raid Precautions unit and then bombed during the war, leading to Spurs offering the Gunners the use of White Hart Lane when football resumed in the wake of the war. Arsenal didn’t allow that to colour their performance when the sides met in the FA Cup during the 1948-1949 season, winning the third round match 3-0. Perhaps one of the reasons for an increase in enmity between the two sides is that there has only been one season since 1950 when the two clubs were not in the same division. Other than that 1977-1978 campaign, when Spurs were in the Second Division after finishing rock bottom of the top-flight the year before, they have played each other at least twice a year, with addition cup matches also coming along from time to time. The result has been increasing tensions year-on-year, with games between the sides over the years dictating the ability to progress in a cup or even win a title. As an example of that tension is the time when Arsenal’s Theo Walcott picked up a knee injury during an FA Cup third round North London derby, having plastic bottles and coins thrown at him as he left the pitch on a stretcher. Arguably the best example of the banter between the two clubs, as well as the dislike that they have for each, comes in the form of ‘St. Totteringham’s Day’. Created by arseweb.com in 2002, this is the day that Arsenal supporters celebrate the fact that their club has gained enough points to mathematically finish above Tottenham Hotspur. For eighteen season in a row the Gunners got to enjoy their celebrations of this unofficial holiday, given that that’s how long it took for Spurs to do well enough to haul themselves past their rivals in the Premier League standings. Tottenham were staying in a Canary Wharf hotel and had a team meal the night before the game, eating lasagne and spaghetti Bolognese. When Spurs’ players began to suffer bouts of vomiting and diarrhoea it was feared that there was something wrong with the food, with some suspecting that an agent from Arsenal had somehow snuck into the hotel’s kitchen and poisoned it. With half of the team struck by illness, Tottenham asked the football association if their match could be delay until a later date, only to be told that a failure to fulfil their commitments would result in a fine and docked points. They played and they lost, meaning that another St. Totteringham’s Day was Arsenal’s to celebrate after they beat Wigan 4-2. The Health Protection Agency cleared the hotel’s kitchen of any wrong doing and an outbreak of norovirus turned out to be the reason for the spread of sickness. Another chance to finish ahead of their rivals presented itself to Spurs in the 2015-2016 season, with Tottenham the only side that were realistically able to challenge Leicester City as the unlikely Premier League leaders. The North London derbies both finished in draws, but it was the games at the end of the season that dictated how things would end up in the league. Having dropped points to West Bromwich Albion at the end of April, Tottenham needed to beat follow Londoners Chelsea in order to keep their faint hopes of winning the league alive. Instead Chelsea held them to a 2-2 drake in a fairy match at Stamford Bridge, ending Spurs’ title hopes. They then went on to lose to Southampton at White Hart Lane in the penultimate match of the season and collapsed to a 5-1 loss to Newcastle on the last day. Arsenal, meanwhile, drew with Manchester City and beat Aston Villa to consign their rivals to a third-place finish in what had up until then been a campaign considered to be a two-horse race. The celebration of St. Totteringham’s Day might well be a fun, tongue-in-check dig from one set of supporters to another, but the reality is that Arsenal fans have had much to celebrate than their North London rivals over the years. By the summer of 2018, they had picked up thirteen top-flight titles, the same number of FA Cups, two League Cups and the aforementioned UEFA Cup Winners’ Cup, as well as progress to the Champions League final in 2006. Tottenham Hotspur, on the other hand, had amassed two First Division titles and eight FA Cups, though they had won more League Cups thanks to picking up the trophy four times. They had also been more successful in Europe, also having won the Cup Winners’ Cup and picking up two UEFA Cups over the years. It’s little wonder, then, that Spurs fans do feel a slight sense of inferiority towards Arsenal. It’s perhaps somewhat noteworthy that Arsene Wenger’s time at the club began to come to an end when his ability to keep the Gunners ahead of Tottenham in the league began to fade. In his final season in charge at The Emirates Stadium the Frenchman won the home match 2-0 but lost 1-0 at Wembley, meaning that his final North London derby ended in defeat. It was also the second season in a row that Arsenal finished behind Spurs, having been eleven points shy of them in 2016-2017 and then seeing that further to fourteen points the year after. As mentioned earlier when Arsenal spent the 1950s and 1960s in mediocrity at the same time as Spurs were heading to the top of the First Division, the must successful team in the North London derby does tend to switch for periods every now and then. No mention of any list of players to have worn both white and red would be right without this big central defender at the top of it. Sol Campbell joined the Tottenham Youth team as a fourteen-year-old, with his physical attributes rather than his technical skills catching the eye of the Spurs coaches. He lined up in the first-team for the first time in December of 1992 when he came on as a substitute and scored the goal in a 2-1 loss. Though he wasn’t picked again by Terry Venables that season, Osvaldo Ardiles took over as manager the following year and ensured his development continued thanks to a move to left-back and then right-back. Campbell improved year after year, becoming club captain under manager Gerry Francis. He had difficult relationships with both Christian Gross and George Graham when they were in charge of the club, but he became the first black captain to win the League Cup when Spurs beat Leicester City in the final in 1999. He was falsely accused of assault during a match against Derby County the following year and the lack of support he received from Spurs, combined with his frosty relationships with various managers, led to him feeling disillusioned about his time at White Hart Lane and he declined to sign a new contract. His time at Spurs came to an end in 2001 when he moved to Arsenal on a free, earning himself the nickname of ‘Judas’ from the club’s supporters. His move to Highbury was an inspired one, with Campbell winning the FA Cup and Premier Leafue in his first season there. He also received a winners’ medal when they retained the FA Cup the following year, though he missed the final due to a suspension. The England defender then partnered with Kolo Touré for the 2003-2004 season and Arsenal set a Premier League record by lasting the entire campaign without being beaten. The so-called ‘Invincibles’ season was a career high for Campbell, whose career was blighted by injury in the years that followed. He remained at Arsenal until 2006, returning for a brief spell in 2010, but his figure as one of the most successful clubs to switch from White Hart Lane to the other side of North London was cemented. If Sol Campbell is one of the must successful players to play for both teams then Emmanuel Adebayor id surely one of the most controversial. The Togo international joined Arsenal for a reported £3 million in January of 2006, scoring after just twenty-one minutes of his debut for them against Birmingham City. He was cup-tied during the Gunners’ run to the Champions League final, meaning that he missed out on the final match that they lost to Barcelona. All of that made him something of an immediate hero at Highbury, but it was the two goals he scored against Tottenham in the 3-1 win in the first North London derby of the 2007-2008 season that put his name in the club’s folklore. Though they couldn’t know it at the time, the same Arsenal supporters that revered the forward would later come to despise him. In 2009 he signed for Manchester City in a move that was rumoured to be worth around £25 million, but his career at the City of Manchester Stadium didn’t take off in the way that both he and his new club has hoped. He did notably score against his former club, Arsenal, in a 4-2 victory in 2009 with a goal that perhaps became more famous for his celebrations infront of the away fans. In 2011 he went on loan to Real Madrid and, despite scoring on his debut, was really no more successful there. As a result, City send him to White Hart Lane on a season-long loan in August of 2011 and he once again scored on his debut for his new club. He finished the season as the club’s top scorer, earning him a permanent move worth about £5 million. He remained there until September 2015, but it was exploits in North London derbies that he’ll be remembered for at both clubs. He scored a penalty for Spurs against Arsenal at The Emirates.